The German underground comes to Brighton, providing the best in funk, disco, house and techno to a fiercely loyal crowd. This month, Juliet Sikora brings a Kittball Records Showcase to Berlin’s residents and a few rising stars. Alongside running this influential imprint, Sikora has rocked some of the world’s biggest clubs and festivals, including Berlin’s Watergate, Rex Club in Paris and Frankfurt’s mighty Cocoon Club. Meanwhile, the Kittball label has been livening up global dancefloors with some massive productions. Here’s a chance to witness her magic up close and personal. Raised in Chicago and based in NYC, Honey Dijon has developed a distinct style from these two cities’ signature sounds. Preferring vinyl as a format, she’s taken this authenticity to the world’s defining clubs – including Panorama Bar, Sub Club, The Block, Output, and Space. Now she adds Patterns to this illustrious list. 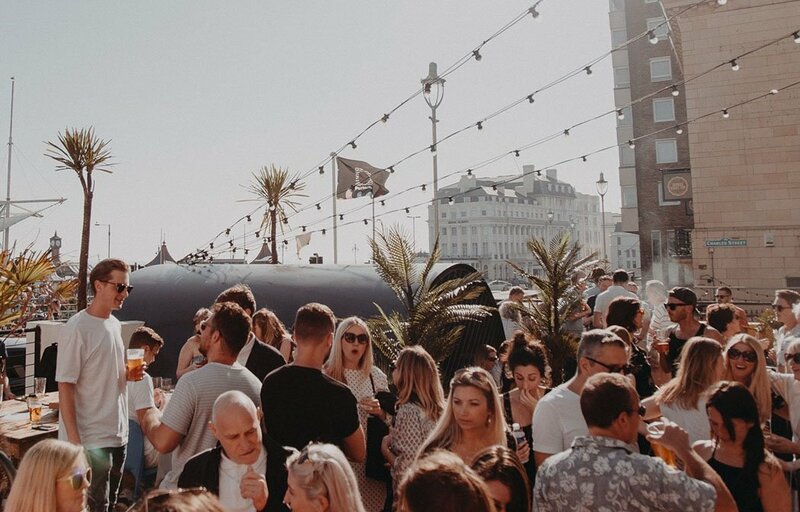 From 1-7pm, acclaimed independent station 1BTN will take over the legendary Patterns Terrace for six free hours of dancing in the sunshine. There’ll be summer beats provided by three of the station’s selectors – Dan Storey, Alex Cella and Ovi. Check out Brighton’s liveliest radio at 1BTN.FM, on 101.4FM or DAB. From Liverpool super-club to global franchise, Cream now comes to The Arch for a night of club classics. They’re bringing the legendary Tall Paul and Paul Bleasedale to keep clubbers dancing all night to the music which defined a generation. Besides, there’s free drinks if you shout ‘TUNE!’ (this is a complete lie, but you’ll do it anyway). No guest list nonsense, £3 entry all night and funk, soul, hip hop and electro beats until the early hours of the morning. We don’t need to say any more. Taking over the entire Komedia for Pride, Gal Pals bring you two rooms of amazing music, an extended 4am licence, some very special guest DJs and the only official queer gal party in town. Patterns cranks it up for an official Brighton Pride Party with Horse Meat Disco. Expect classics, Italo disco, house, oddities and punk funk with DJs Severino and Luke Howard. Happy Pride! To celebrate, Wonderland brings in Denis Sulta and his no-nonsense dancefloor sensibilities. It’s a little bit house, a little bit electro and a little bit techno, but totally awesome. This Grammy Award nominee, four-time International Dance Music Award winner and progressive house legend will be extended for your evening’s pleasure. Expect to get a full four-hour session. A strictly vinyl affair, expect to get some non-stop reggae, roots, ska, Studio 1, rocksteady, rubadub and exclusive dubplates – all expertly selected by Sir Coxsone Outernational Sound.